Sporting a 27-inch 5K display, up to an 18-Core CPU, and 128GB of RAM, there’s no doubt the iMac Pro is a pretty drool-worthy computer. 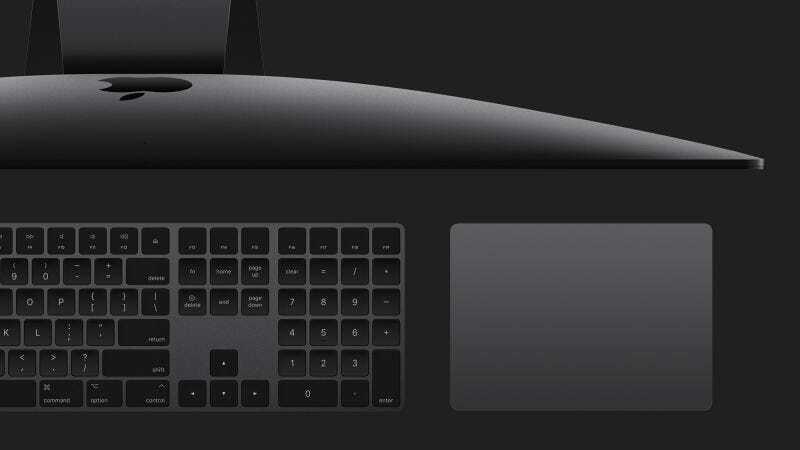 But strangely, the coolest thing about the iMac Pro wasn’t the system itself—it was the space gray peripherals that came with it. In fact, Apple’s darker, edgier space gray keyboard, mouse, and trackpad, which were previously only available as optional extras when purchased alongside a new iMac Pro, became so highly desired that they were fetching over $1,500 (or 10 times the price of the normal versions) when auctioned away on sites like eBay. At those prices, it was almost possible to break even on the purchase of a new mid-range iMac Pro, as long as you were willing to sell those space gray peripherals later. Thankfully, Apple has finally come to its senses and made those space gray accessories available for individual purchase, with only a slight markup for the cool, darker hues. However, if you browse Apple’s online store, you might not find them, so your best best is to click on the following links. All three items cost just $20 more than the traditional silver versions, with the space gray Magic Keyboard and space gray Magic Trackpad 2 each priced at $150, while the space gray Magic Mouse 2 comes in cheaper at just $99. So there, for all the people who held off on paying exorbitant prices for dark colored accessories, your patience has been rewarded. And for anyone who did pay over $1,000 for a space gray whatever on eBay, hit me up, because I’d love to know how you feel now.